Reginald was born in 1895, the son of Henry Maccabee and his wife Elizabeth (Eliza) née Vokin. His father, Henry was a painter and decorator, several of his sons, followed him into the trade. At the time of his birth the family lived at Rose Cottage in Enborne, moving up the hill to Wash Common, Newbury in 1908. There they lived in a house named Roseleigh, in what was initially Cromwell Road - renamed in the 1930s as Battery End (a name more fitting to its location on the site of the 1st Battle of Newbury in 1643, in which Cromwell took no part). After completing his schooling Reginald became a signwriter's apprentice, war intruded into his life before he could complete his apprenticeship. He enlisted with the Royal Berkshire Regiment serving with the 2nd/4th (Territorial) Battalion. As 1917 drew to a close the Battalion was in France, near Villers-Plouich, a few miles south-west of Cambrai. The British offensive known to history as the Battle of Cambrai has started on 20 November with, for the time, massive initial success. After a few days the Germans launched a counter-offensive that gradually pushed the British back towards their initial positions. On 3 December the 2/4 Royal Berks were ordered to man a section of the original front line, notably a position known as Corner Work. They faced heavy attacks all day as the enemy gradually took back ground they had lost thirteen days earlier. Reginald was wounded, either on this or the following day. He was evacuated to a casualty clearing station near Ytres (either the 21st or 48th CCS) where he died on 4 December. 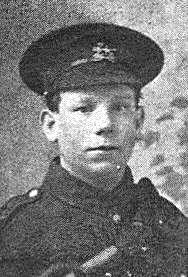 As he died his elder brother Thomas was lying helpless on the battlefield, both of his legs shattered by a shell-burst. His story is told here. Reginald was buried in Rocquigny-Equancourt Road British Cemetery at Manancourt in plot VIII.B.5. 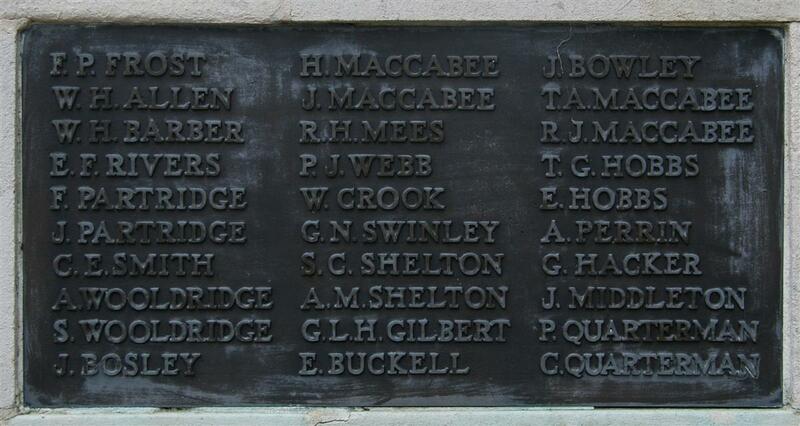 His name is commemorated on Newbury Town War Memorial and on the Newbury Baptist Church War Memorial. He is also remembered on his brother Thomas' grave in Newtown Road Cemetery, Newbury. In proud and loving memory of our dear buy, Corpl R L Maccabee, 2-4th Royal Berks Regiment, and fourth son of Mr and Mrs H Maccabee, of Roseleigh, Wash Common, who died of wounds received in the Cambrai battle, Dec 4, 1917, aged 23 years. Dearly loved and sadly missed by his loving parents, brothers and sisters, and all who knew him. His name will ever live in the memory of those who loved him. Three more of his brothers, William Henry, Sidney Frank and Montague Albert, served and survived. William Henry served with the RAMC; Sidney Frank appears to have served with the Somerset Light Infantry until he was invalided out with shell-shock in 1917; despite this he re-enlisted in 1919 and served through to 1931. Montague Albert was wounded in France in August 1918. Fortunately he recovered after an operation to remove shrapnel from his foot. On completing his recovery at a Berrington War Hospital in January 1919 he was demobilised. Had the war not been over he would have returned to the Front.